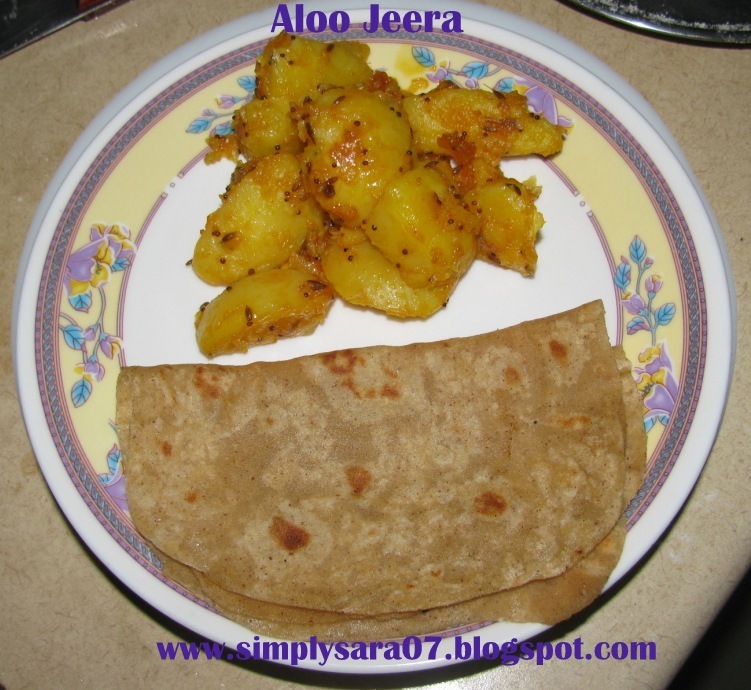 Aloo Jeera is a simple sidedish and very tasty. 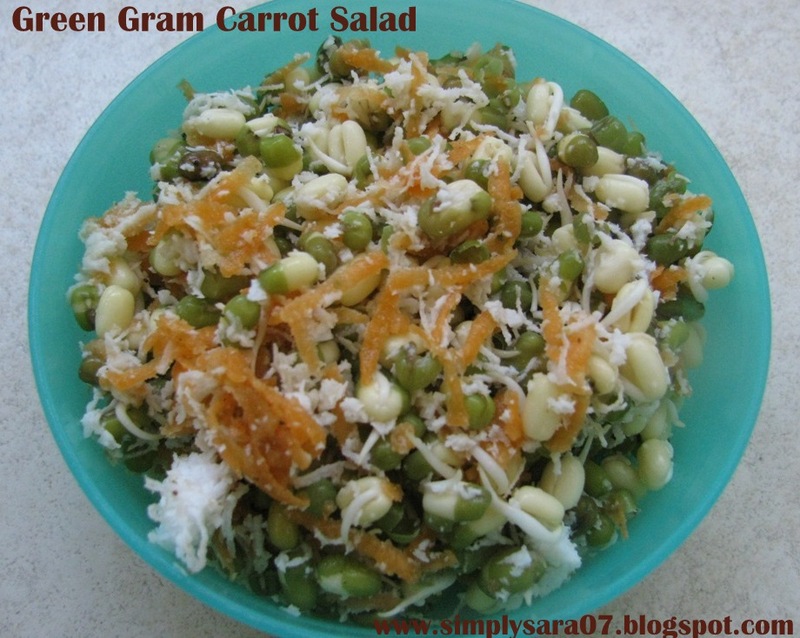 It can be a sidedish for Chapathi or Hot Rasam Rice. Boil potatoes in pressure cooker for 3 to 4 whistles. Cool it and peel the skin. Cut into big pieces. Heat a Kadai, add oil, mustard wait till it splutters. Add Hing and Jeera fry for a minute. Add Potatoes, salt and masala powder. Mix well and cook in low flame till the raw smell goes. Do not roast it and break the potatoes. Aloo Jeera is ready to serve. I enjoyed with Chapathi. This is going off to CWS - Cumin Seeds Event by Priya hosted here by me at Sara's Corner. Am back after my break in India. Thank you for all your comments and entries for CWS - Cumin Seeds Event. If you have not sent in your entries do send it soon as event ends on 31st May. Here goes the recipe for simple and healthy salad. Mix all the above in a bowl and Serve. This can be served anytime and for lunch box too.